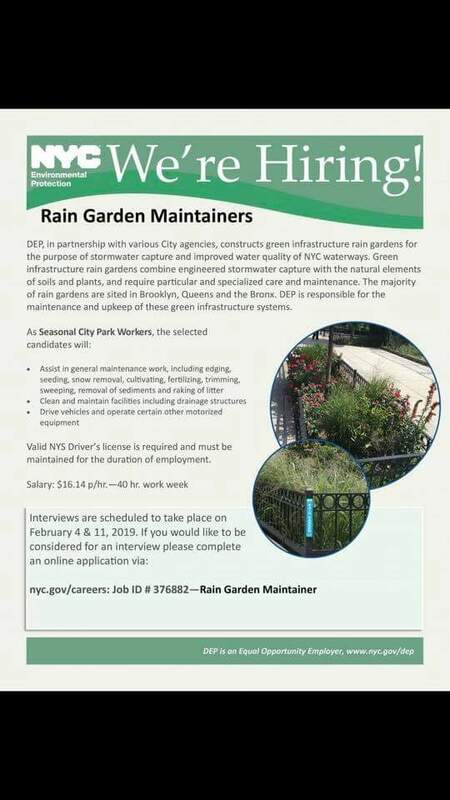 HomeNYC Environmental Protection is Hiring Rain Garden Maintainers for Brooklyn, Queens and the Bronx at $16.14 per Hour @ 40 Hours per WEEK!!! SEE FLYER. ← Pictures taken at the Talking Peace Community Event at Prince Joshua Avitto Community Center (PJACC) on Wed., Jan. 16, 2019, 6:00-8:30 pm, and was co-sponored by Brownsville Think Tank Matters Inc., Man Up! Inc., and B.R.E.A.T.H.E. Circles.